Minimal in its design – maximised in its function. 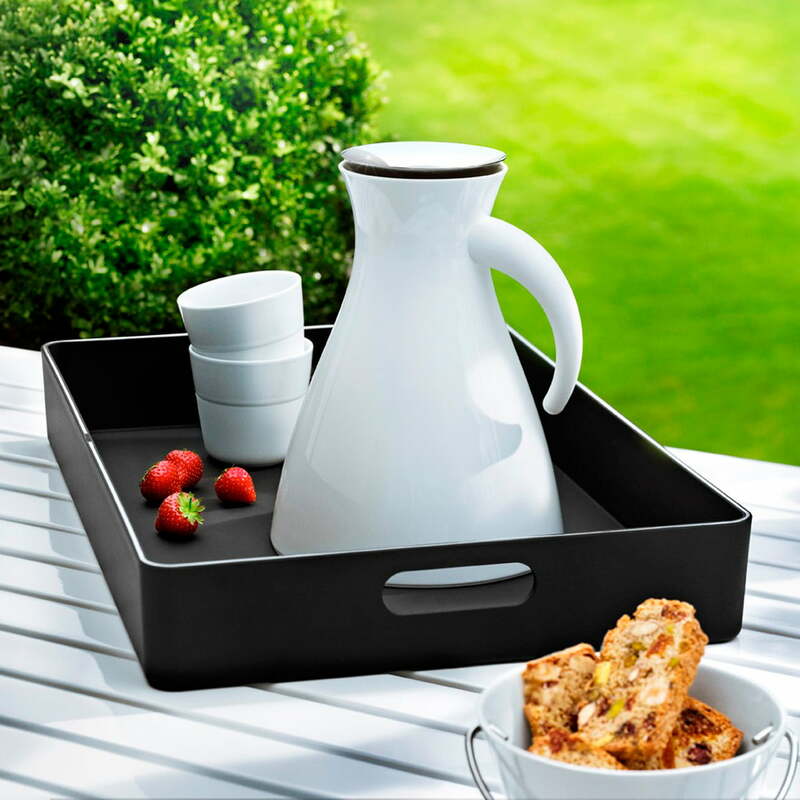 Everything which is typical of products by Eva Solo is also completely applicable for the serving tray with handles. 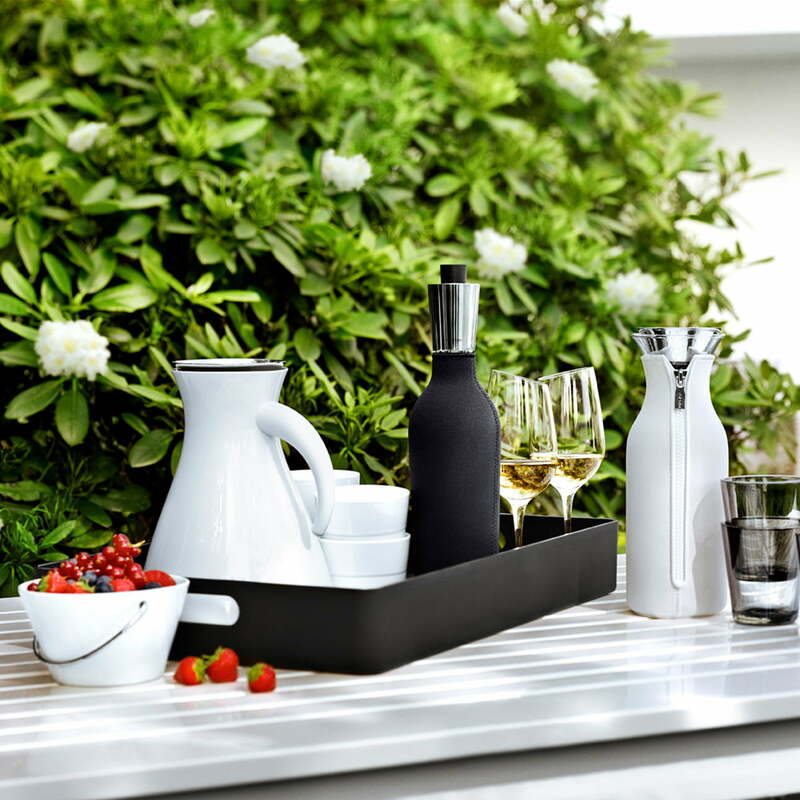 The rectangular serving tray by the Danish manufacturer Eva Solo is perfectly made for its uses: The base of the tray consists of light and hard-wearing ABS plastic; the inside is coated with rubber. This is how it keeps everything on it safely in place. 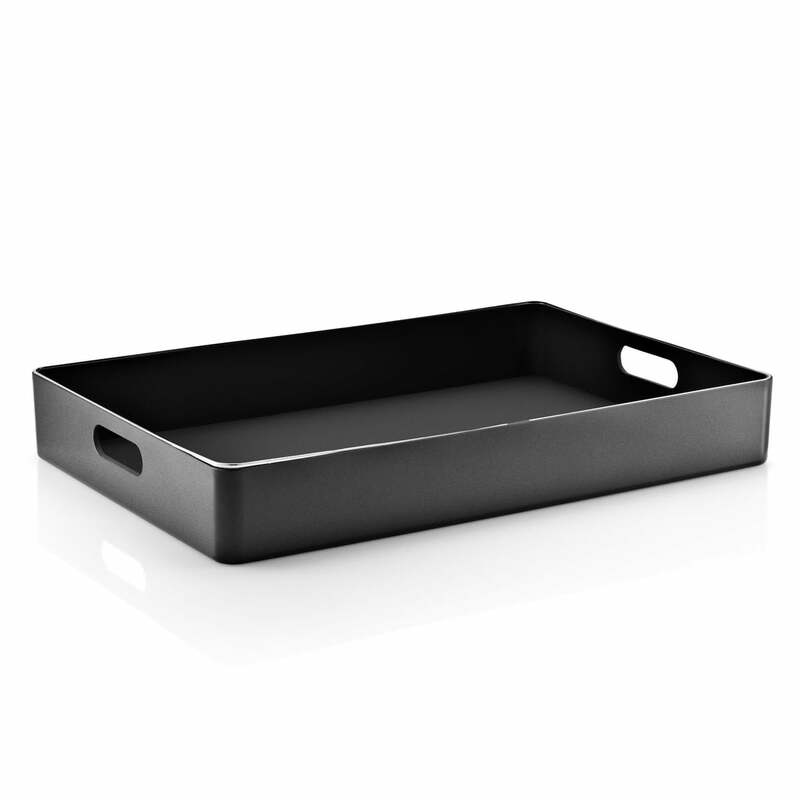 The handles ensure that the tray is effortless to carry. A stainless steel ring sets discreet accents on its top. 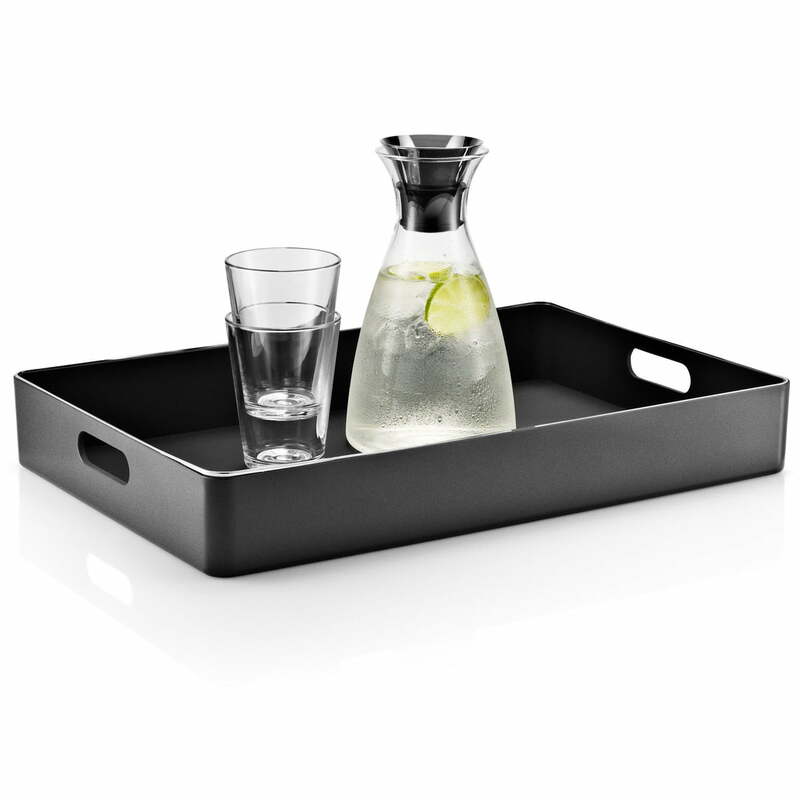 The serving tray by Eva Solo doesn't have to hide, it also looks good on top of the table.